DALLAS – (October 11, 2011) – Freeman, the world's premier provider of integrated services for face-to-face marketing events, was awarded preferred in-house vendor status at Cobo Center, a convention facility in downtown Detroit, by SMG, the venue’s management company. Freeman’s on-site AV staff at Cobo Center has over 25 years experience in the Detroit market, making the transition for customers seamless. Also, Freeman AV has shown its commitment to the Detroit convention industry by adding over $100,000 of new technology to their already extensive on-site equipment inventory. In addition to providing AV services, Freeman will continue to provide exposition services at Cobo Center. 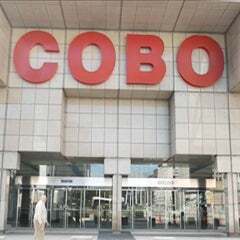 “We view this as a true partnership and will be integrally involved in the ongoing changes at Cobo Center,” said Bill Kubiak, general manager, Freeman Audio Visual. “The objective is to create a customer friendly business to business environment,” added Connors. SMG manages more than 220 facilities worldwide, providing customers with full service sales and marketing programs. Combined with Freeman and Cobo Center’s resources, customers can expect quality service and results from this partnership. 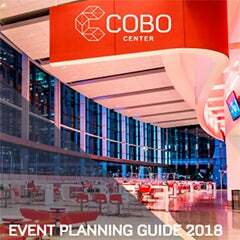 Cobo Center, already one of the largest exhibit spaces in North America, is currently undergoing a $300 million dollar, three-phase renovation to upgrade the facility and draw new convention business to Detroit. 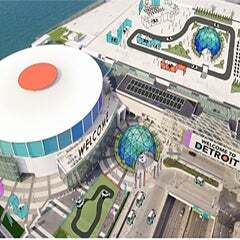 The renovation will equip the center with new technology, a 40,000-square foot ballroom, additional exhibit floor space and the ability to bring the world’s largest conventions to Detroit. Since 1927, Freeman has provided customers with comprehensive services for face-to-face marketing events including expositions, conventions, corporate events and exhibits. Headquartered in Dallas, with 70 offices in North America, Freeman produces more than 14,000 special events annually, including more than half of the 200 largest U.S. trade shows. Freeman has the ability to assist customers in all aspects of the trade show process, from set-up to take- down and everything in between. An employee-owned company, Freeman places an emphasis on respect for people, providing unparalleled customer service. Freeman has received numerous awards recognizing outstanding efforts in industry leadership, customer service excellence, creative design, community service, innovation and customer-driven partnerships. For more information visit www.freemanco.com. Since 1977 SMG has provided management services to more than 220 public assembly facilities including arenas, stadiums, theatres and performing arts centers, equestrian facilities and convention, congress and exhibitions centers. As the recognized industry leader, SMG manages more than 11 million square feet of exhibition space including venues in San Francisco, Hawaii, Denver, Salt Lake City, Atlantic City, Pittsburgh and McCormick Place in Chicago. Visit www.smgworld.com for more information.